DOUBLE HINGED FULCRUM provides extra leverage and smoother pulling of even the longest corks. The two step hinge makes opening wine twice as easy by allowing for a nice, 2-step pull and removal of the Waiters Bartenders corkscrew and offers a significant mechanical advantage over older-style single-hinge Waiters Bartenders corkscrew. LONG, ROUNDED AND SERRATED FOIL CUTTER removes all types of foils and eliminates the need to purchase another gadget. It is also specially designed to reduce the risk of slippage and minimize any tearing of the foil or plastic. NOTE - IF THE FOIL KNIFE IS DIFFICULT TO OPEN, SIMPLY APPLY A LITTLE BIT OF OIL AT THE KNIFE'S HINGES TO LOOSEN IT UP. THIS WILL USUALLY DO THE TRICK! Looking for ideal Waiters Bartenders Corkscrew Manufacturer & supplier ? We have a wide selection at great prices to help you get creative. All the Waiters and Bartenders Corkscrew are quality guaranteed. 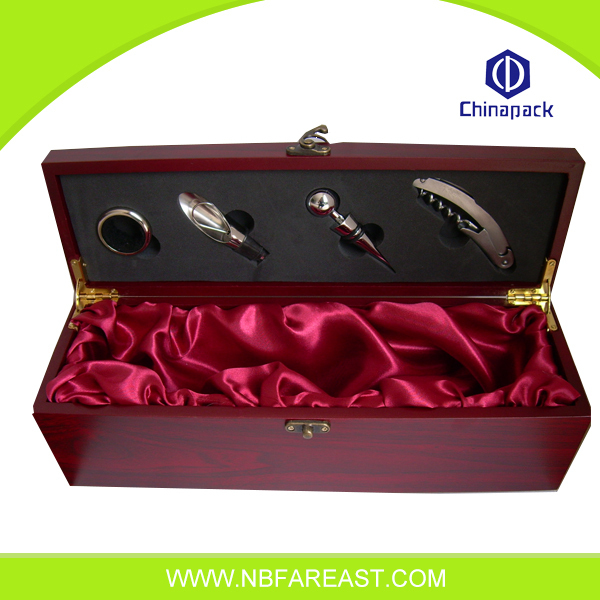 We are China Origin Factory of Bartenders Corkscrew Wine Opener. If you have any question, please feel free to contact us.